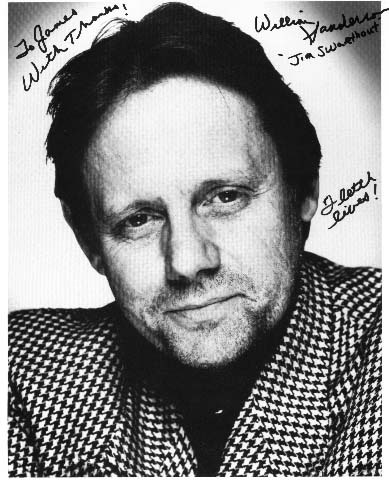 William Sanderson: Behind the scenes - I let the hairdresser cut my hair. William Sanderson: Indifferent if I'm not in it. How old is he? Laker Jim:When people come up and talk to you, is Fletch one of the movies that they remember you from? William Sanderson: Depends on whether they saw it - more mention Newhart. William Sanderson: I've been a fan of the Fletch books well over 20 years. William Sanderson: I've moved on. William Sanderson: Good Luck to the new Fletch, whomever it is. Best Regards, William.